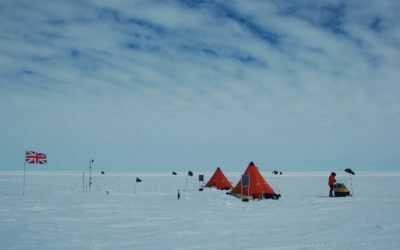 A team of British scientists has returned from a gruelling 1500km journey across the ice of West Antarctica after successfully completing the first leg of their groundbreaking mission. 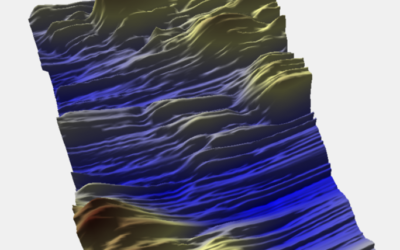 The iSTAR science programme brings together multi-disciplinary teams to investigate ice loss from Pine Island Glacier, the biggest single contributor to worldwide sea level rise. The next step of the programme, an ocean investigation, is now underway. Launched last November, iSTAR is an ambitious scientific programme, funded by the Natural Environment Research Council (NERC), uniting leading scientists from 11 UK universities and from British Antarctic Survey (BAS). Using state-of-the-art technologies to measure changes to the flow and thickness of glaciers, and to investigate the role that the ocean plays in transporting warm water beneath ice shelves, this multi-disciplinary mission is the first of its kind for the UK. Scientists recognise the urgent need to understand the causes and impact of recent rapid ice loss from Pine Island Glacier. The impact on global sea-level rise could be significant – this mission is designed to find out just how significant. This new knowledge about its stability is critical for making better predictions about how the ocean and ice will respond to future environmental change. This season’s deep-field campaign was to travel 1500km [932 miles] by ‘tractor train’ across the glacier ice, taking samples and measurements as they went. This is the first time in recent British history that this method of crossing the ice has been undertaken. Sophisticated equipment, supplies and fuel were loaded on to specially designed rubber mats and towed by huge tractors. A ‘caboose’ (a caravan-like office and living space) housed technical equipment and provide a warm space for the science team to plan their days’ work. At 01:30 (GMT) on 8th January, after 2 months on the ice the 12-person team completed their final science task for the year; the neutron probe made it’s measurement of snow density at the last work site, bringing to an end the scheduled scientific experiments. “The ice-traverse has been a huge success. We visited all the proposed sites on the route, conducted considerably more experiments than had been originally planned and completed much quicker than expected. Our success has been thanks to the excellent support we have received, the sheer hard work and dedication of all the traverse members and some good luck with the weather. We are very pleased to have successfully completed this year’s deep-field work”. As this stage of the investigation drew to a close, the ocean investigation team set sail onboard the RRS James Clark Ross towards for the Amundsen Sea, briefly crossing paths with the ice investigation team in Punta Arenas in Chile as they passed through on their way home. This next leg of the mission will focus on retrieving moorings, tagging seals, and performing further measurements using an Autosub (autonomous submarine) operated by the National Oceanography Centre (NOC), ocean gliders, and onboard instrumentation to analyse how much the ocean is contributing to the retreat of Pine Island Glacier from below the ice shelf. The ship will be deployed in Pine Island Bay until early March. Ocean measurements and observations are essential for improving a wide variety of computer models used by the international scientific community to forecast future climate and sea level. The iSTAR ice-traverse team was Anna Hogg & Thomas Flament (University of Leeds); Steph Cornford (University of Bristol); Damon Davies & Rob Bingham (University of Edinburgh); Peter Lambert (University of Reading); and Andy Smith, David Vaughan, Jan DeRydt, James Wake, Tim Gee & Jonny Yates (British Antarctic Survey). The iSTAR research programme is managed by British Antarctic Survey (BAS) on behalf of NERC. Sixteen members of BAS staff are involved in the programme, two of whom are Principal Investigators. 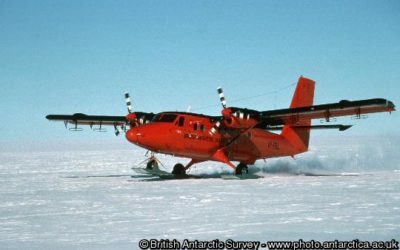 Operational support, in the form of logistics planning, deployment of the RRS James Clark Ross, a new system of tractor-train to traverse the ice, and the use of Rothera Research Station and Sky Blu field station as well as Twin Otter aircraft, will ensure that science teams have what they need. Media, public and stakeholder engagement is coordinated by BAS on behalf of iSTAR. The six-year, £7.4 million programme is organised into four main research projects — each uses state-of-the art technologies to make new discoveries about the ocean or the ice. For the first time simultaneous science investigations on the ice and in the ocean will take place. The science teams will pool their experience, knowledge and expertise to capture new data, knowledge and understanding that will make a major contribution to the ongoing urgent international scientific effort to understand our changing world. The results of these investigations will bring many benefits to science, to policy and to economic decision-making — which will ultimately contribute to the well-being of our society.